Measured increases in credit availability coupled with a reduction in excess inventory among home builders perpetuates and attractive environment to purchase a home. However, while mortgage interest rates are low now, these rates are unlikely to continue in the long term if housing continues its recovery. Reports on residential real estate activity were generally positive. 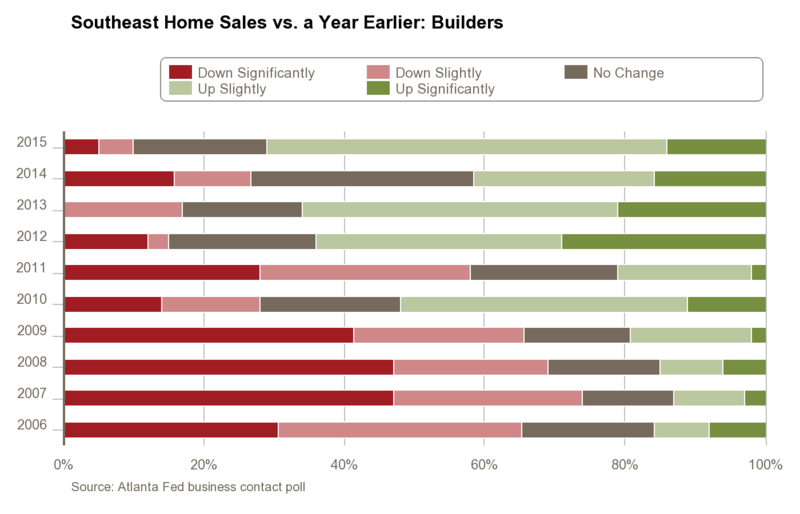 According to the Atlanta Fed’s Construction and Real Estate survey, most builders and brokers reported that home sales were up slightly in March from the year-earlier level. Georgia: Home prices in Georgia increased 0.4 percent from the previous quarter and 6.9 percent from the year-earlier level. 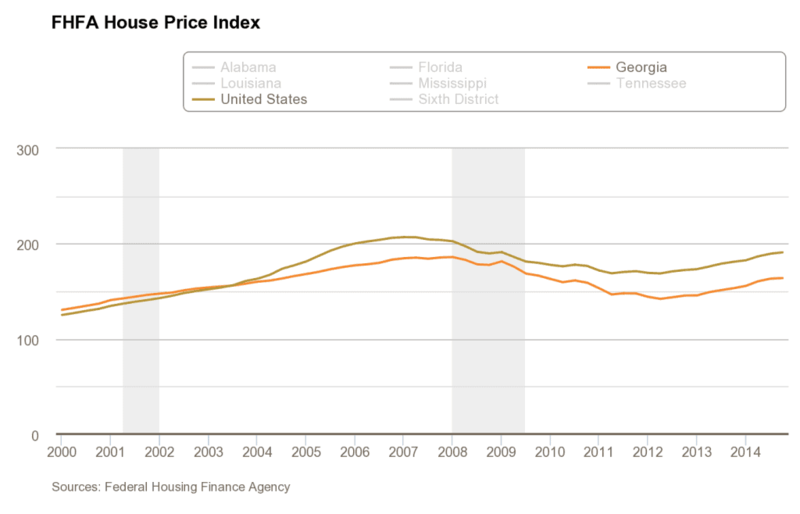 Georgia: Despite increasing from the month-ago level, new home construction permits in Georgia fell 6.0 percent in March compared to one year earlier. Commercial real estate contacts continued to note healthy activity. First quarter preliminary results from the Atlanta Fed’s commercial construction survey showed that the pace of nonresidential construction was up from a year ago, supporting reports from architectural and engineering firms of improved pipelines for nonresidential projects. Georgia: Georgia’s economic performance has been improving steadily since December 2009 and is well above the national level. 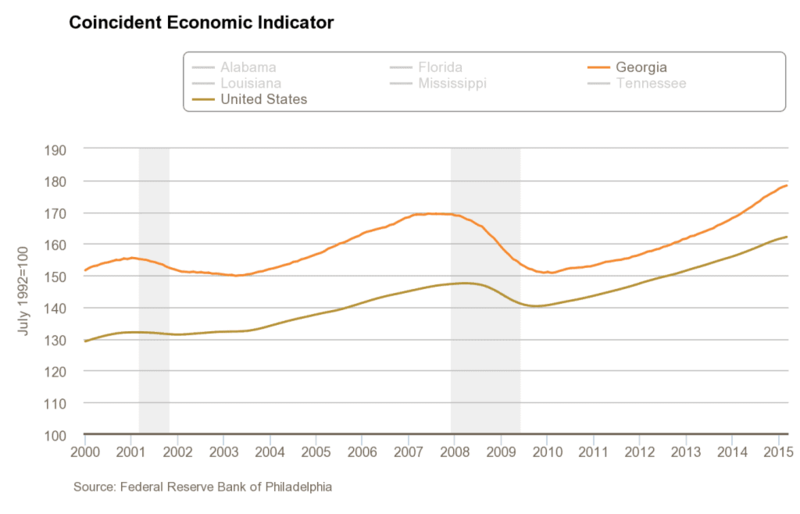 Georgia’s coincident economic indicator has risen 5.3 percent over its year-ago level. The availability of credit is an important driver of housing market activity. During the downturn, our contacts often mentioned that the pendulum had swung too far in the direction of looseness when economic times were good. And during the recovery, they said the pendulum had swung too far in the direction of tightness. Results from the latest poll suggest that mortgage credit availability is improving. A growing share of business contacts (three-fourths of residential brokers and two-thirds of home builders) reported that the amount of available mortgage finance was sufficient to meet demand. 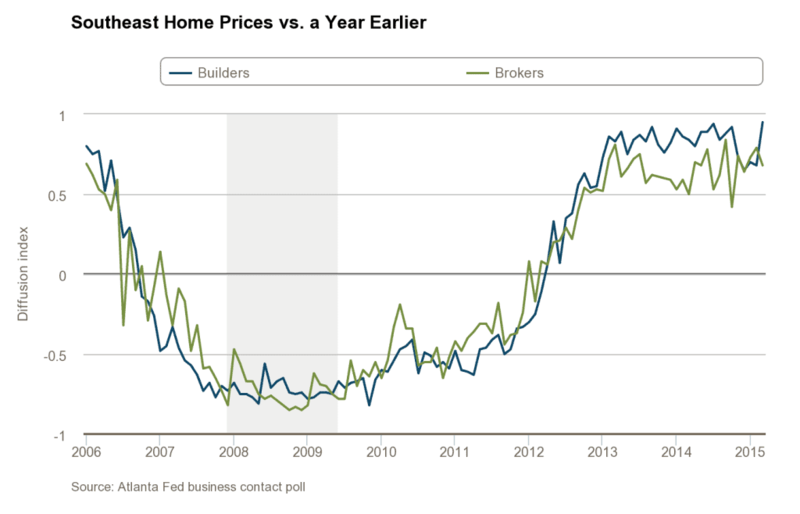 Most builders and agents believe there is enough available credit to sustain a healthy growth in demand for housing. Additionally, the Mortgage Credit Availability Index also suggest that credit availability has been slowly but steadily improving since early 2013.